I live a quiet life without nightmares and I have never been hospitalized in a psychiatric clinic. I usually do not fly in the clouds. Surprisingly, however, I have read recently on many international amateur pages that at the last WPX contest, where I participated, I was on Mount Athos !!! And I transmit from there !!! I also found that being on Mount Athos was not only mentioned by one person, but more than that, I was even tough criticized for this. In the last WPX contest, I also took part with the SV2/SV1RP/A call, and I transmit from my alternative shack, which is located in the north. Greece and specifically in Giannitsa City. So my international scorn was deliberately done by people who acted fraudulently to expose me internationally. All the necessary legal procedures have already begun, so that those responsible for this deceptive act can apologize to the Greek authorities but also for the complete restoration of the truth. From now on, be more careful with the "information" you publish, especially when it comes from low-intelligence people and who are moving to the limits of legality. In any case, however, I am cautious about my next actions. MORE SURPRISING,HAM RADIO PROVIDED THE DOCUMENTS FROM THE GREEK SIDE,NEEDS TO PROVIDE AND FROM THE HOLY SYNOD TO WORK ON THE AIR,WHICH IS LED BY THE MONK APOLLO.AND WHEN WILL NOT HE WHO IN THE LAW WILL ALLOW THE AIR MONASTERIES MONK APOLLO..IT BRINGS IN THE BUSINESS WITH THE HUNTING $$$$$$$. 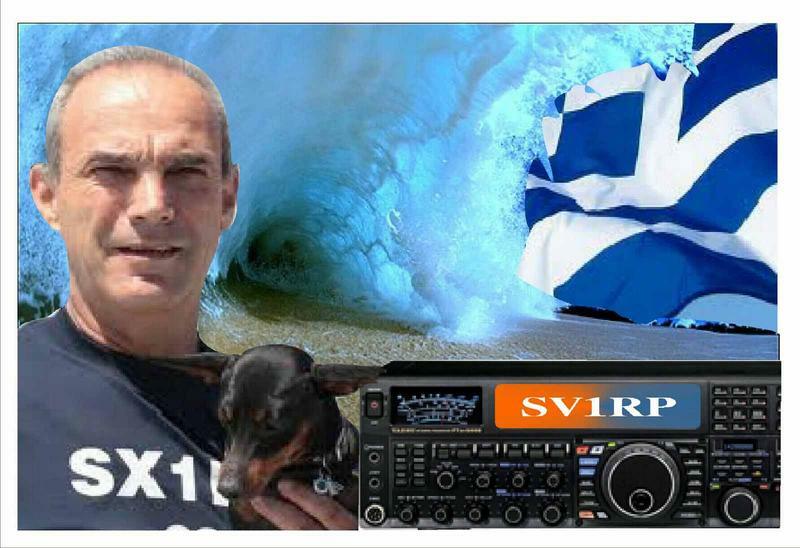 So it appears that SV2/SV1RP/A operated from his "Alternative" location in DXCC Entity "Greece". And it also appears when SV1RP operated the exact same call SV2/SV1RP/A a couple years ago, he was on Mount Athos. Talk about confusing... George's QRZ page at this time does nothing to sort it out. Maybe he'll update it. I did find this tidbit on unrelated SV2BBO's QRZ page: "SV2BBO/A Lisenced Alternative location KN10ve, Camping Rea Vourvourou Chalkidiki. /A not necessarily Mount ATHOS !! It is alternative location in the same geographical area under Greek Law, Υ.Α.38200/1136 since Septemper 2, 2011." From the producers of the original Olympic Games in 776 BC. I see nothing has changed, more games.